Anushka Shetty stuns everyone with her new avatar! Home Kollywood News Anushka Shetty stuns everyone with her new avatar! Actress Anuksha Shetty, who had put on weight for her obese girl look in the film ‘Size Zero’ struggled a lot to shed the extra pounds. The pretty heroine was even body shamed by a group of her fans for appearing fat! 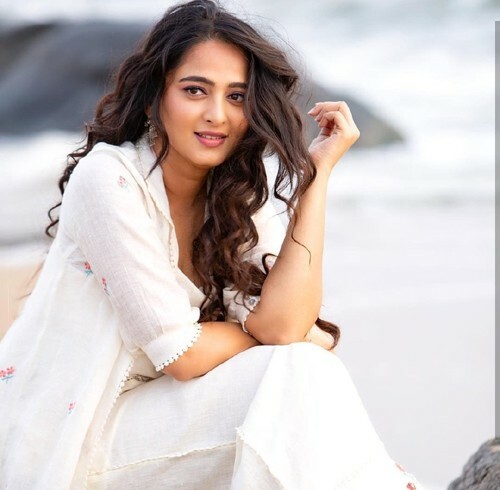 Though she was a part of the blockbuster hit films like ‘Baahubali’ and ‘Bhaagamathie’, she lost a couple of movie offers, especially Prabhas’s ‘Saaho’ because of her obese look. With strong will power and a balanced diet plan, the actress shocked everyone with her new slim avatar. Popular award winning lifestyle expert Luke Coutinho trained the actress and offered her the correct diet to lose the extra weight. Recently, Anushka Shetty took to social media to write about this, which says “With the stunning , beautiful , down to earth , humble and sweet #AnushkaShetty we plan and have a vision to make lifestyle the new religion and change the health of the nation one person at a time ..we need everyone’s support , blessings and love …do we have it ??”. On the technical front, Anushka Shetty is acting in a film ‘Silence’ opposite actor Madhavan, who was her co-star in the Tamil film ‘Rendu’. This film is touted to be a science thriller. Janani Iyer joins hands with this comedian! Janhvi Kapoor to act in Arjun Reddy’s Tamil remake?